The perfect solution with a view on available floorspace. 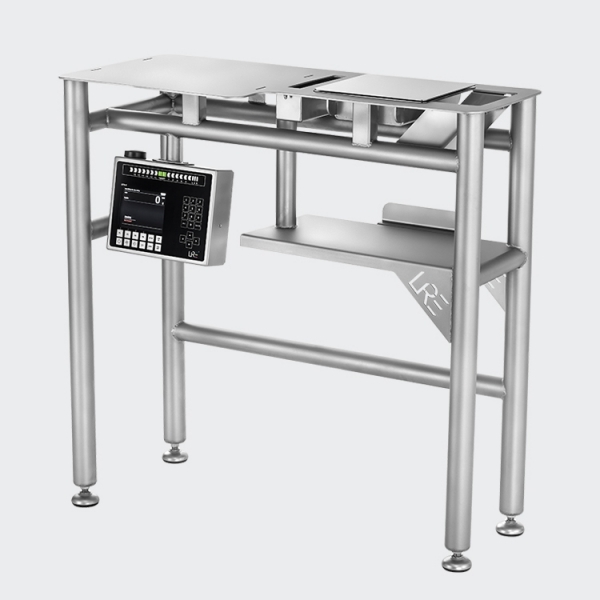 Since 1993 LRE develops, installs and inspects weighing and software solutions for various industries worldwide. 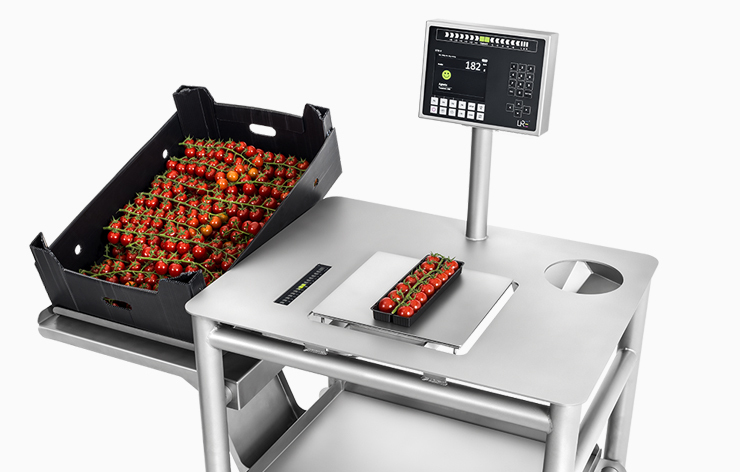 The DTS-V weighing table has been specially designed with a view on available floorspace at the production area. 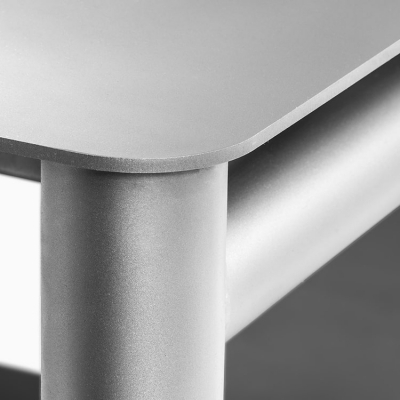 The worktop is very effectively arranged so that the space is used optimally with an eye on detail and accuracy. Worker and product based registration. The worktop has a waste hole where waste can be inserted. The waste is collected in a crate, which can be weighed at the end of the production. 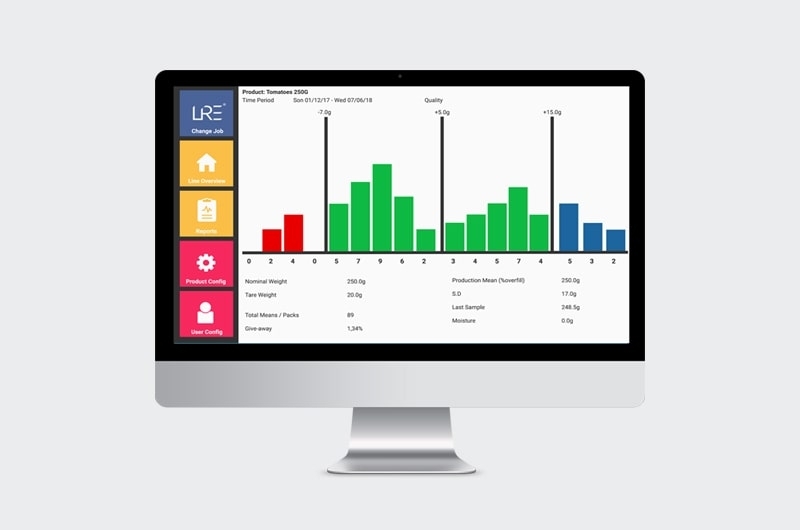 Simple, fast and insight into your waste production. 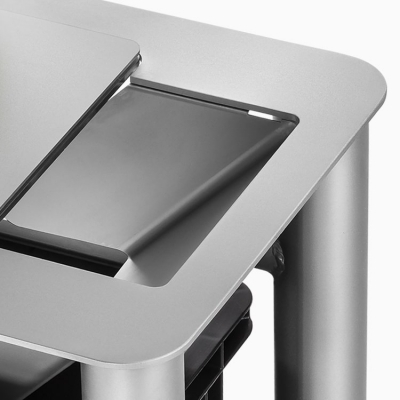 The DTS-V table scale is specially designed with an eye for detail. The table is easy to clean. 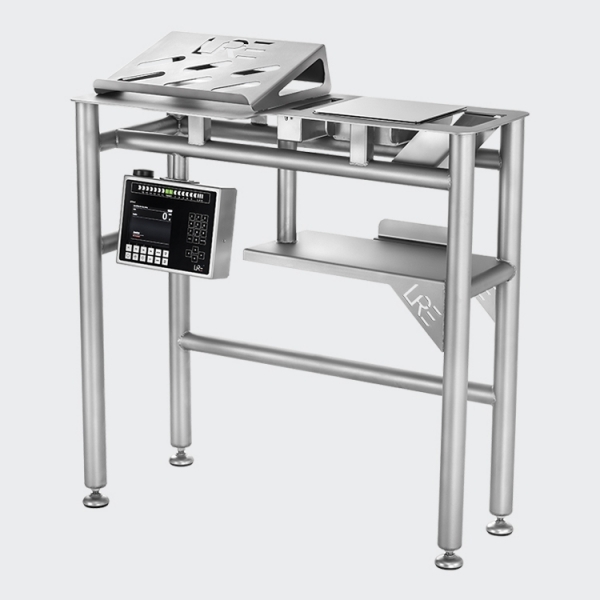 This makes the DTS-V table scale extremely suitable for a production environment where hygiene is high priority. Gain speed and reduce give-away. 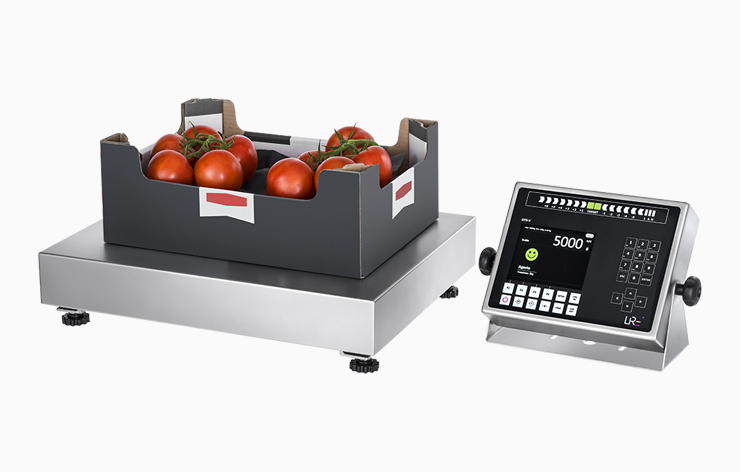 Our intuitive LED bar is freely programmable for each fruit species. 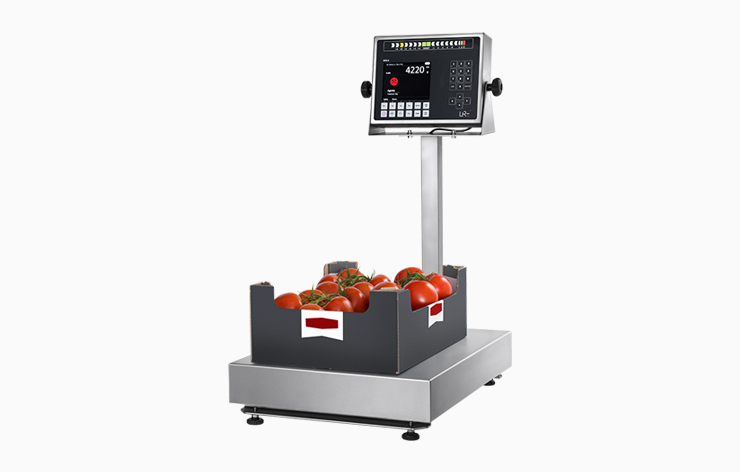 The user will be informed exactly how much and what kind of fruit (light, medium or heavy) need to be added of removed to reach the target weight. Optimize the performance of each worker. A colored smiley will be displayed (real time) to show te worker if he meets the preset packing rate per minute. The smiley will be adjusted periodically on the bases of an average number of packages per hour. Complete control and management on labor and product? Combine the DTS-V with our software modules and register quickly and easily things like: packing speed, give-away and the performance of every Worker. Live overview over the production. Suitable for any manufacturing or packaging process. The DTS-V in available in different setups. Do you want a place for bulk product? Or do you place the product on the worktop? Let our product specialists advice you. There is a suitable solution for everyone. The unique setup makes it is easier to have various attachments on the right or left side of the table. Which makes it possible to use at different types of production lines. The scale can be equipped with various dimensions of trays for weighing small packages to large crates. In addition, the scale is suitable as a waste scale in combination with the unique waste module. Due to the diversity in which the scale can be used, this model has been one of our best-selling scales for years. It can be used as a built-in or stand-alone scale.